Call center monitoring software is a necessary investment for any medium or large call center. 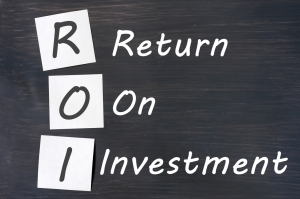 If your organization is implementing call center monitoring software, or if you are changing systems and providers, it will be important to create a justification for the return on investment that this spend requires. Call center monitoring software can vary from bare-bones systems that allow for call recording to sophisticated and integrated programs that provide a suite of services. The level of call center monitoring software your organization utilizes will depend on your needs at budget. At the core, all call center monitoring software needs to be able to facilitate the recording and/or reviewing of customer interactions. This helps maintain customer service levels, enable performance management, and identify associate training opportunities. Additionally, monitoring software can provide data and reporting that assists in the efficiency and operations of the call center. It can be an important tool for measuring and tracking key performance metrics in the contact center. A call center monitoring software system can also provide insights about customer service and customer requirements. There are a variety of ways these savings can be quantified. Your monitoring software implementation partner might be able to help you with industry data and historical performance and operational improvements for like companies. If your contact center could benefit from monitoring software, the first step is to find a partner to help you implement your new program. You will want to work with an expert team to craft and implement the optimal solution for your organization. To learn more, consider contacting Evaluate Quality. The expert team at Evaluate Quality can help you identify and design the solution that is right for your call center and will provide the maximum return on your investment. Evaluate Quality can be your full service partner for all of your call center quality monitoring needs. The firm is experienced in designing solutions that are tailored to their customer’s requirements. They have worked with organizations large and small in all different industries throughout the United States. Contact Evaluate Quality today to schedule your no obligation demonstration.